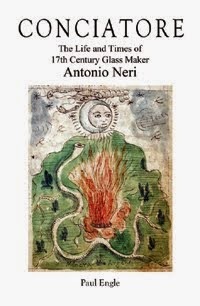 In honor of National Poetry Month in the US, here is a post about a 16th century poet who was best friends with Antonio Neri's grandfather, and may be the inspiration for the glassmaker's middle name: Lodovico. 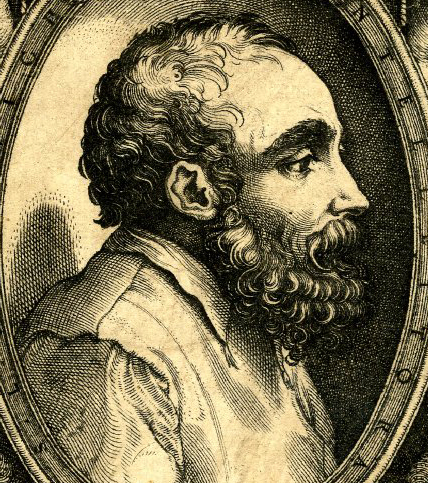 Neri, born in 1576, is remembered mostly for his book of glass recipes, L'Arte Vetraria, yet he considered himself first and foremost an alchemist. His father was the personal physician to the grand duke of Tuscany, and his grandfather was a barber surgeon, who probably lived in the family house until his death in 1594, when Antonio was an 18-year-old. There can be little question that our glassmaker/alchemist was steeped in chemistry and medicine from a very early age, but perhaps also literature. In November of 1554, poet Lodovico Domenichi wrote a sonnet to his friend, Jacopo Neri. Jacopo was from Dicomano in the upper Arno River valley, then living in Florence with his young family. Domenichi was serving a sentence of house arrest in a wretched paper mill in Pescia, in the hills north of Florence. He had been found guilty by the inquisition on charges of translating the heretical writing of John Calvin into vernacular Italian, a crime for which the poet could have easily been executed. Luckily, he had friends in high places and after some nervous time spent in the stockade in Pisa, his sentence was reduced and later commuted by Grand Duke Cosimo I de' Medici. So much goodness in you, so much virtue. In the sonnet, he goes on to extol Jacopo's kindness towards patients, his willingness to forgive and his admiration among scholars. Along the way, Domenichi describes his own predicament; the cruelties of the mill workers, the muddy floors, his desire to flee and trying to sleep on a bed of frozen straw among the work animals. The rain has been falling for weeks and he is miserable. Recalling happier times he evokes the memories of many mutual friends, including a dwarf named Don Gabriello Franceschi, who delivered sermons at the Cestello church, Neri's family church, located a few hundred feet from his front door. Franceschi was from the family into which Jacopo's daughter, Faustina, would later marry. A giant of men in a small handsome package. He goes on to describe his saviors; the men who intervened with the Church on his behalf. One was Pompeo della Barba, educated at Pisa and later called to Rome as the personal physician to Pope Pius IV. In the end, Domenichi was pardoned, allowed to leave the damp mill and return to Florence. Within a short time, he was appointed court historian to Cosimo I. Over his career, he published many volumes; translations of works ranging from Xenophon, to Plutarch, to Pliny's Natural History, to a groundbreaking compilation of poems by contemporary women. At the end of his life, Domenichi suffered devastating debilitation, maybe from a stroke, which robbed him of the ability to speak. Even so, he still received regular visits from his old friend Jacopo Neri the barber surgeon. As we turn away from the subject of Lodovico Domenichi, it is hard to resist speculating that a decade after his death, the poet was remembered with fondness by the Neri family in the christening of our glassmaker, whose full name is Antonio Lodovico Neri. Lodovico Domenichi, "A Mastro Jacopo di Neri, Cerusico, E Barbiere." in Il Secondo libro dell' Opere Burlesche, di M. Francesco Berni. (Fiorenza: Apresso li Heredi di Bernardo Giunti, 1555), vv. 2. Reprinted many times. *This post first appeared 9 September 2013.